1 in x 2 ft x 2 ft Armstrong Optima 15/16 in Square Tegular Panel - 3250 at Cowtown Materials, Inc. 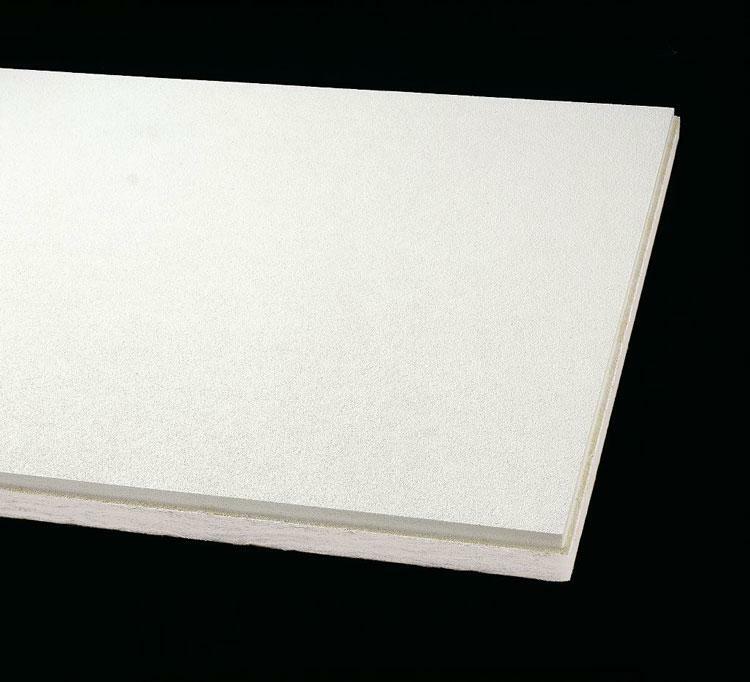 Smooth textured Optima provides excellent acoustical absorption, light reflectance, and durability including impact, scratch, and soil resistance. Optima is available in more standard sizes than any other product in the Armstrong portfolio including large size and trapezoidal panels. Custom sized Optima is also available! 1-1/2" and 2" items are available to provide superior acoustical absorption. Foil backed, improved CAC items are available for areas where sound blocking is important. Optima panels are lightweight, offer HumiGuard+ no sag performance, are resistant to surface growth of mold and mildew, and can be recycled at the end of their usable life. Optima panels are compatible with standard suspension system and Axiom perimeter trim items - factory curved panels for use in standard Formations clouds are available. NRC tile. Dimensions: 24" x 24" x 1"